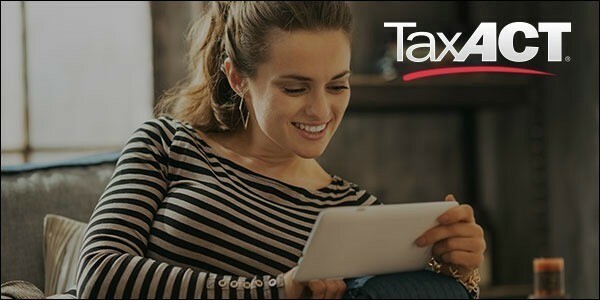 File Your Taxes Free and Online with TaxAct – Deadline Approaching! *Post presented by TaxAct. All thoughts and opinions are mine and mine alone. Tomorrow is the big day! It’s April 15th and you know what that means – it’s Tax Day. *Cue the groans* How does a tax filing service that’s free, easy to use and offers support sound? Like a stress reliever right? Filing your taxes can be completely overwhelming and for those of you who are looking for a one stop shop for state and federal tax filing, I’m excited to introduce you to TaxAct. My husband had one goal this past Saturday and that was to finish our taxes. What a fun way to spend a Saturday huh? As he was filing our taxes he kept commenting on how difficult and confusing the service he was using made everything. On top of that, there were glitches and not the best support to answer those burning tax questions. 1. Their easy to navigate website. Everything is clearly laid out for you, from where you should start first, to where you can go to get your questions answered. 2. Their “Biggest Refund Guaranteed” statement. As you can see, there are three options – Free Federal, Deluxe Federal and Ultimate Bundle. Everything you will get with each package is spelled out clearly so there’s no confusion. Not only does TaxAct save you time, but money as well with their affordable prices. Do you donate to your church or an organization you support? TaxAct has a free app you can download and easily track donations, which will help maximize your deduction. 5. Their Return Status feature. You file your taxes and then….wait. If you’re getting a refund, it’s nice to know when that will happen, as well as what status your filing is in. TaxAct has an easy to use Return Status feature which will tell you the status of your filing, where your refund is and when you can expect it. Are you ready to get this done? You can do this! TaxAct is there to help make this process as easy as possible, with less headaches and less money out of your pocket. Get this task off your plate today and get started with TaxAct here.